There’s a good game buried somewhere within Scrabble, but the turns are too long, your hand's always crap, and you plan the perfect move during your aunt’s 45-minute turn only to have your uncle put “it” on the triple word score. 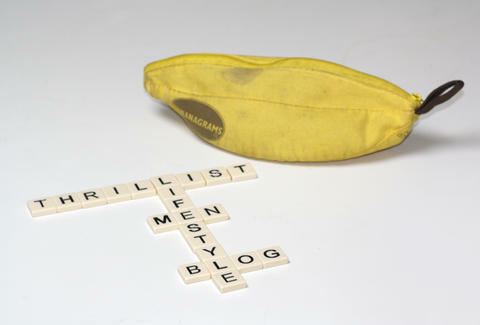 Lose the board, ditch the turns, and chuck the point hoarding and you’ve got Bananagrams. You’re given letter tiles to arrange according to Scrabble rules, but the similarities end there. Once you use all your letters, everyone draws another to work into their structure. You can rearrange your board freely, dump that u-less q for three new tiles, and make any decision without having to rely on your stupid cousin to play "is" first.